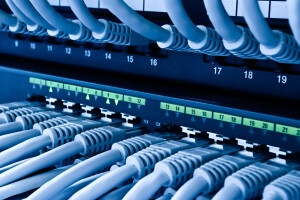 Connect-tek designs and installs copper and fiberoptic structured cabling systems. Our installations range in size from a few drops to several hundred drops. Our voice and data cabling systems have been installed in such diverse buildings as multi-story office structures, College and University facilities, one and two story school buildings, corporate office headquarters, branch banks, stores, and manufacturing facilities. We are certified by Ortronics Corporation to grant up to a 25-year warranty on installations when materials and installation parameters meet Ortronics specifications. All of our cabling installers are full time employees of Connect-tek, with 5 to 20 years experience, and are Ortronics certified. Please call us for more detailed information on the cabling services offered by Connect-tek.